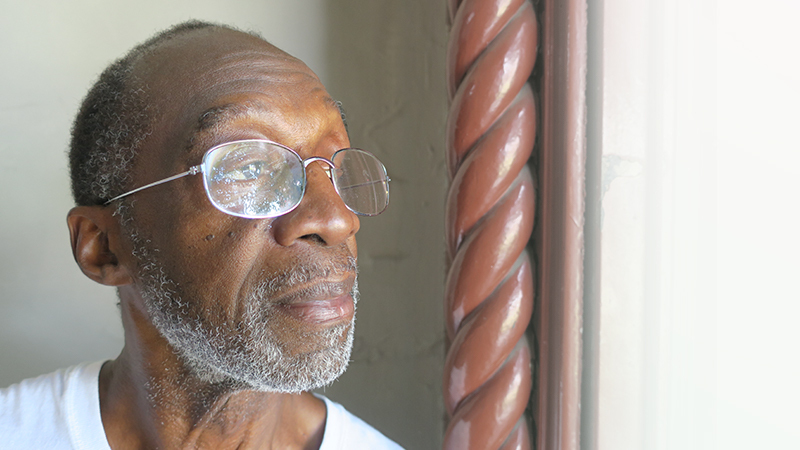 Bruce never dreamed Thanksgiving would find him hungry, homeless, and without hope. Bruce had served proudly and honorably as a United States Marine. He’d had his own business and had never asked for help . . . Certainly not for basics like food, clothing, and shelter! But that was before a slowdown in business and a serious heart condition left him with nothing. Still, he was shocked to find himself shivering outside the Mission doors, hoping and praying for a meal, safe shelter, and a winter coat. Bruce is one reason I ask you to stand with Detroit Rescue Mission Ministries (DRMM) now to make sure no one is hungry and alone on Thanksgiving. Between now and Thanksgiving, we will fill more than 4,500 plates EACH DAY for hungry and hurting people. So please provide as many of those $1.95 meals as you possibly can! You see, every meal you provide is a gift of hope and could be the game-changer for someone who just needs encouragement and the tools to overcome homelessness, joblessness, and addiction. May your Thanksgiving be filled with family and loved ones, warm fellowship, and a delicious meal . . . and made even more special knowing that your support is making a lifesaving, life-changing difference in so many lives! Thank you for making a gift of meals now to help people who are hungry and hurting this Thanksgiving season.